From the makers of myVEGAS Slots and my KONAMI comes POP! Slots! Take the Vegas experience with you wherever you go. Play POP! Slots anytime and anywhere to get your hands on the hottest slot games around. It’s the only casino game that lets you visit virtual versions of real casinos to spin and win with your friends. Best of all, you’ll be earning real rewards from the hottest hotels, shows, restaurants, and clubs in Las Vegas and beyond. Want to earn loyalty points for Las Vegas hotels while playing a fun, free casino game? Download the POP! Slots app for iPhone, iPod and iPad devices. POP! Slots lets players have fun achieving VIP status through entertaining and exciting play of slot machines. With the POP! Slots app, you can work your way to VIP status and get rewards simply for playing online slot machines and other casino games. How Does it Work? POP! Slots is one of the only free apps for iPhone, iPod and iPad devices that lets players play in a totally free, no deposit casino and earn rewards for actual Las Vegas hotel stays, meals, entertainment, and more. When you play POP! Slots, you can save money when you visit Las Vegas by using the rewards and bonuses you earn in the app and then cashing them in for accommodations, shows, dinners, and even VIP nightclub access! Download POP! Slots, one of the best apps for completely free slot play, and get immediate access to a no-deposit casino with free slot machines. Many of the slot machines in POP! Slots are games that you’re already familiar with and playing on Las Vegas casino floors! POP! Slots offers fun slot machine games in a completely no-deposit casino. You don’t have to invest any money to start earning the biggest and best rewards in the app! POP! Slots makes it possible for you to achieve VIP status and win big while you enjoy a truly fun casino experience online. 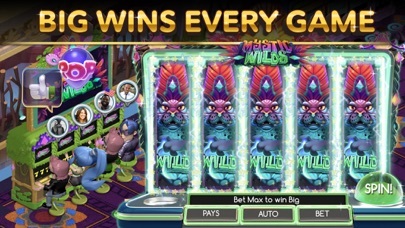 Earn instant bonuses, huge progressive jackpots, and so much more! Why Download POP! Slots? Download the POP! 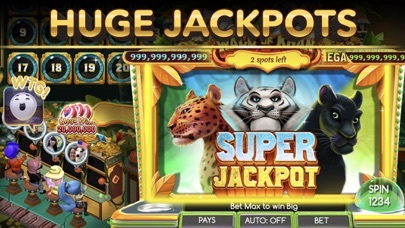 Slots app to enjoy: •	Totally free game play •	Bonuses and rewards from Las Vegas resorts, entertainment venues, and restaurants •	Mega progressive jackpots •	New slot machines introduced on a regular basis •	Real-world, land-based casino slot machines from POP! 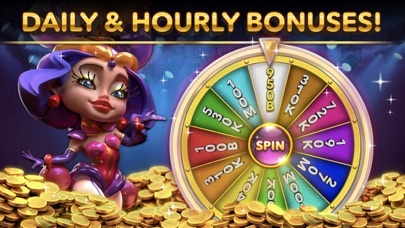 Slots – including branded slots from MGM, Luxor, Mandalay Bay, Excalibur, and more •	Quests and daily events for bonus chips and more free spins •	Free chip bonuses hourly and daily for free spins and chances to earn rewards and win jackpots Many POP! Slots players have already redeemed loyalty points for Las Vegas hotel stays and other bonuses and rewards. No-Deposit Free Play Earns You Real-World Rewards! The no-deposit free game play structure of POP! Slots lets you earn real-world rewards for playing completely free slot machines. You don’t have to invest anything to get started earning bonuses, Las Vegas hotel stays, and other VIP rewards. Download this totally free casino game and start trying your luck at authentic slot machines. There’s no risk, so start earning bonuses and redeeming your awards for real-life prizes. 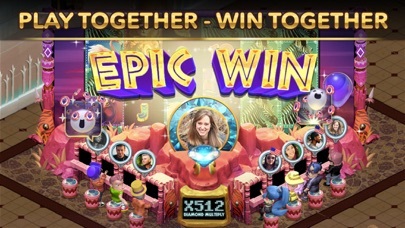 Earn points and stay at some of the top hotels in Las Vegas, eat at the best Las Vegas restaurants, and see fun Las Vegas Shows, just by playing POP! Slots online on your iPhone, iPod and iPad devices. . Turn your online winnings into rewards that will make your actual Las Vegas vacation cheaper and a lot more exciting! If you like apps that constantly give you updated free content, you’ll love POP! Slots. This free app is always adding new slot machines and games so that you can experience several mini games and apps within one free app. Download the POP! Slots app today! Note: - POP! 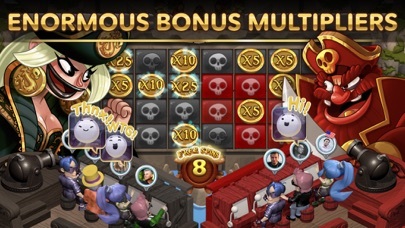 Slots is intended for an adult audience. - POP! Slots does not offer "real money gambling". - Practice or success at social casino gaming does not imply future success at "real money gambling." Great time killer. Lots of different choices. Lots of bonuses and is a fun easy way to pass time. I get caught up in it sometimes and lose track of time. I love it! I’m starting to lose interest. Have played this game for years, but the bonus rounds don’t pay much anymore. The bonuses also change from one bonus round to the next as far as payouts. Many times I hardly win my bet on the bonus round. It’s getting really cheap, and hard to keep excited about playing. This is a second review from me. Ready to delete this game. Rarely do I get to a bonus round. When I do, the payouts are so small. Not keeping my interest anymore. Fun game not sure I get how the rewards work yet. But fun slots game. BEWARE OF THE WALL OF KHAN! Be leary of the wall of Khan. I won 25 million chips on it but they never appeared in my balance. I contacted support and their exact and only answer to me was, “the wall of khan always pays out.” .... well I am calling bs because yall robbed me of my duckets.